Taylor Swift left fans pleasantly surprised as she brought out Robbie Williams during her second performance at Wembley Stadium. 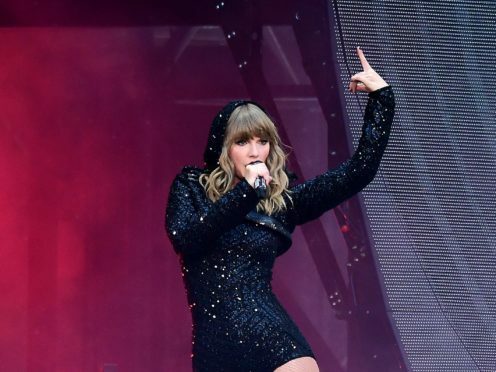 The singer, who brought her Reputation Stadium tour to London on Friday, introduced the veteran entertainer to a packed audience for a duet of Angels. Williams appeared to rapturous applause and cheers, and was appropriately dressed for the occasion, sporting a Taylor Swift T-Shirt. Fans shared their excitement and disbelief on Twitter. “Fair to say when Robbie Williams hits the #TaylorSwift stage to sing #Angels it’s an uplifting moment. #liftedtheroof,” said Twitter user @Beejayville. Meanwhile another fan tweeted: “Robbie Williams singing angels with Taylor Swift is something I did not know I needed to see until I saw it”. Videos and images of the special moment flooded the social networking site. It follows a special appearance from One Direction star Niall Horan on Friday.